Sorcerer Percival Endicott Whyborne and his husband Griffin Flaherty have enjoyed an unprecedented stretch of peace and quiet. Unfortunately, the calm is shattered by the arrival of a package from Griffin’s brother Jack, who has uncovered a strange artifact while digging for gold in Alaska. The discovery of a previously unknown civilization could revive the career of their friend Dr. Christine Putnam—or it might kill them all, if the hints of dark sorcery surrounding the find are true. 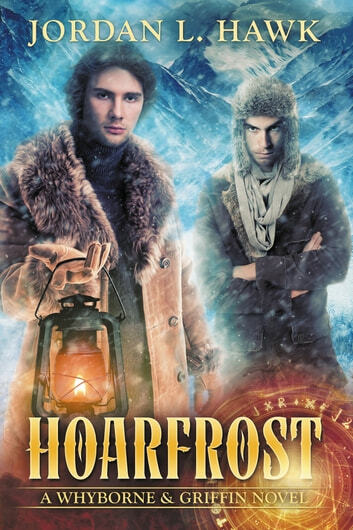 With Christine and her fiancé Iskander, Whyborne and Griffin must journey to the farthest reaches of the arctic to stop an ancient evil from claiming the life of Griffin’s brother. But in the rough mining camp of Hoarfrost, secrets fly as thickly as the snow, and Whyborne isn’t the only sorcerer drawn by the rumors of magic. Amidst a wilderness of ice and stone, Griffin must either face his greatest fear—or lose everyone he loves. 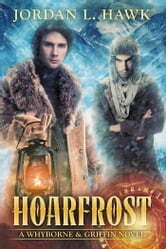 Hoarfrost is the sixth book in the Whyborne & Griffin series, where magic, mystery, and m/m romance collide with Victorian era America.